Hector Luis "Julio" Rivera, Sr., son of Pedro Rivera and Maria Rose Rivera was born January 10, 1950 in Ponce, Puerto Rico. Julio, as he was affectionately called, grew up in Manhattan, New York, attended the public schools, and went on to continue his education at a college in North Carolina. Mr. Rivera, met and married the love of his life and to this union eight children were born. He was a jack of all trades. He loved carpentry and did mechanic work. He was a chef and an police officer while living in New York. 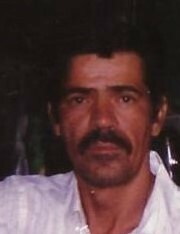 Julio, also enjoyed cooking, watching his grandchildren play baseball, and loving on his entire family. On October 5, 2018, after an extended illness, Julio spread his wings like a dove and his spirit ascended back to Heaven. He leaves to cherish his sweet memories: his loving and devoted wife, Dorothy Flores of Vance, SC; (8) children, Miriam Flores of New York, Joseph Flores, Hector L. Rivera, Jr., Samantha (Timothy) Rivera, Pedro (Chantell) Rivera all of Vance, SC, Marion (Leroy) Mayers of Newberry, SC, Shirley (Franklin) Isaac of Cameron, SC, and Joshua Flores of Greenville, SC; 35 grandchildren, 26 great-grandchildren, and a host of other relatives and friends whom loved him just as much. The family will be receiving mailed condolences at 309 Mills Creek Road, Vance, SC 29163.